Nobody knows the trouble I've seen--nobody knows but Jesus. Trouble and difficulty was well known to black American slaves in the 1800's. Brutal days of arduous labor and nights of aching limbs were what made up their existence. Nevertheless in spite of the injustice, unfairness and inhumanness of their world they never stopped singing about their troubles and praising the God who helped them. Troubles have a way of waking us up from our spiritual slumber. Long term memory suddenly kicks into gear and while we may not have talked with God recently, read the Bible consistently or lived our lives particularly faithfully, we are desperate for help. When we get our help, and trouble has again moved on, too often we find ourselves moving on as well. But then, like a wheel of fortune, it again stops on "trouble" and looking up we discover that we are a long distance, once again, from the Help we need. Times up! 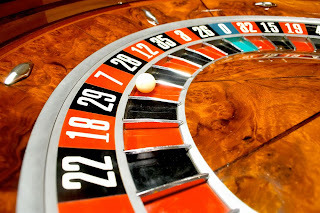 To keep spinning the wheel, hoping for it to hit better times, is a gamble. Trouble has more spaces than goodness. If we want to live free, making a decision to stay put, and leaning into the presence of the One who knows our troubles, will stop the spinning wheel. The answer to why me isn’t nearly as important as Whose am I and who do I want to be? Answering these questions will make a difference in how we choose to live our lives when trouble shows up, again. you stayed put, doing exactly what your Father wanted. Help me to lean in to your presence.